A little over a year ago I moved from San Francisco, CA to Pittsburgh, PA. It was a decision I was initially unsure about, but I couldn’t be happier in my new home. Pittsburgh has gotten a number of accolades recently. Movoto named Pittsburgh the smartest city in the US due to the incredible number of universities, libraries, and museums we enjoy. And while Pittsburgh may have a “Rust Belt” locale, it wont stay rusty for long. Forbes magazine named it a “comeback city” due to its incredible recovery from the steel industry collapse. Overall, yinzers (the local slang for Pittsburgh natives) are a well-educated and industrious group. And for small business owners, Pittsburgh has a lot to offer. 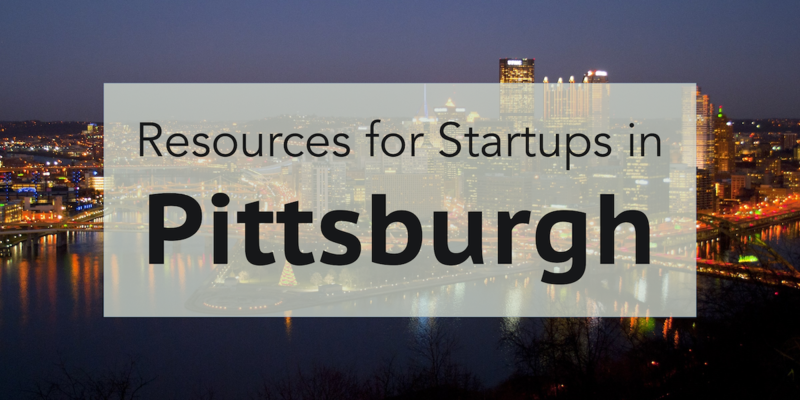 Here are some of the many resources available to Pittsburgh startups. There are 11 universities in the city of Pittsburgh, and nearly all of them offer some sort of small-business support. Pitt: Small Business Development Center – The Pitt SBDC offers both business and technology consulting services to small business owners. They also have a two-day workshop series that will teach you about the mechanics of starting a business and developing a business plan. The workshops are also very affordable – just $25 for both. Duquense: Small Business Development Center – Duquense offers no-cost consulting services to small business owners in southwest PA. They also offer a number useful workshops throughout the year. For example, they regularly offer a “First Step: Business Start-Up Essentials” workshop at various locations for just $25. Chatham Women’s Entrepreneurship Group – It costs $175 to join, which is a bit expensive, but the perks outweigh the cost. Members enjoy monthly breakfasts, mentorship opportunities, and lots of networking events throughout the year. Even if you aren’t a member you can attend a number of workshop sessions for a small fee. For instance, there is this one coming up on “Small Business Basics“. There is a growing number of accelerator programs in Pittsburgh to help startups get up and running. Here are just a few. Thrill Mill – an early-stage startup incubator that provides dedicated workspace and mentoring to companies accepted into their program. Alpha Lab – a startup incubator that provides seed funding, workspace, and mentoring. Alpha Lab Gear – similar to Alpha Lab, Gear provides seed funding and space for accepted companies, but focusses on hardware startups. Idea Foundry – an accelerator program for science or social-enterprise focussed startups. New Sun Rising – accelerator that provides fiscal sponsorship and support for non-profit or social-good focussed startups. There is no shortage of co-working spots in Pittsburgh, but I want to highlight some of the Co-working “plus” programs that offer more than just a desk. WorkHard – WorkHard is not just a co-working space. It is more of a co-op style incubator. TechShop – TechShop is a Makers paradise, with tons of equipment and classes for members. Whetstone Workgroup – Whetstone is a pretty typical co-working space for freelancers, but it also offer affordable drop-in childcare for members. Academy PGH – The Academy is a regularly occurring coding “boot camp” for anyone interested in learning development skills. Also, Academy is run by the same folks who run WorkHard. PGH Tech Meetup – Members of PGH Tech come from all sectors of the tech industry in Pittsburgh, so it is fantastic for networking. The club also hosts a number of workshops and speakers throughout the year. Startup Weekend – Pittsburgh has hosted a number of Startup Weekend events. There has even been a Startup Weekend Women’s Edition catered to lady entrepreneurs. Enterprise Forum Pittsburgh – A non-profit that hosts multiple “forums” and workshops for entrepreneurs throughout the year. For example, the upcoming Beyond the Menu forum would be great for foody entrepreneurs. PDMA Pittsburgh – A professional group for innovators in small and large businesses alike. They host a number of events throughout the year that would be useful to any entrepreneur (for example, the Creativity and It’s Practice workshop coming up).